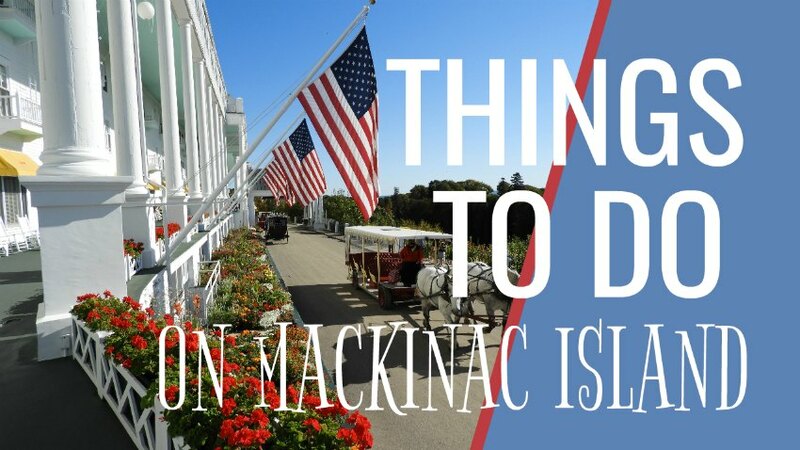 There are SO MANY AWESOME Things To Do On Mackinac Island! 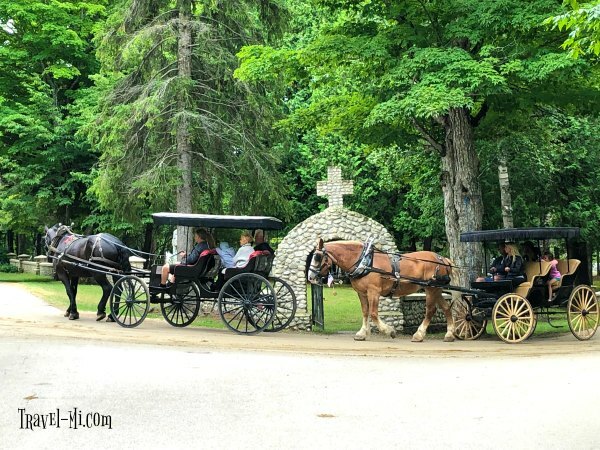 Explore Skull Cave, Arch Rock, the Nicolet Watch Tower, enjoy horse drawn carriage rides and so much more. Did you know there's a haunted theater? Let's Go! Rent your bikes and let's get exploring! Did you know there is 70.5 miles of roads and trails on the Island?! So be sure to either rent a bike on the Island or bring your own bike on the ferry. The cost of bringing your own bike is about a 1/4 of the price of renting for four hours so it's definitely the way to go. 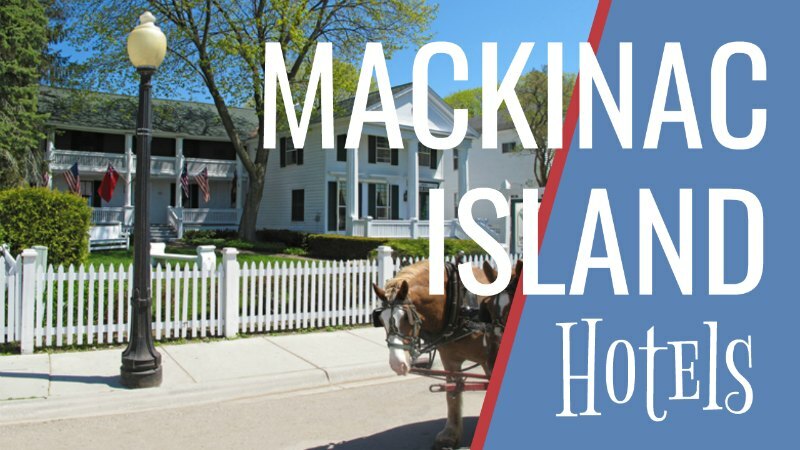 Also, if you came into this site on this page, here is our MAIN MACKINAC ISLAND PAGE with hotels, guides, maps, etc. I photographed a large map that was along the trails and added my own favorite stops along with theirs. It was an invaluable tool as many of our desired stops weren't marked. We explored the island counterclockwise. We recommend riding the entire circumference of the island first (as it's spectacular) and then venture into the center, time permitting. Main Street is where all the hustle and bustle of the Island occurs! There are tons of shops, restaurants and fudge to be devoured on this street. Take lots of time to explore! 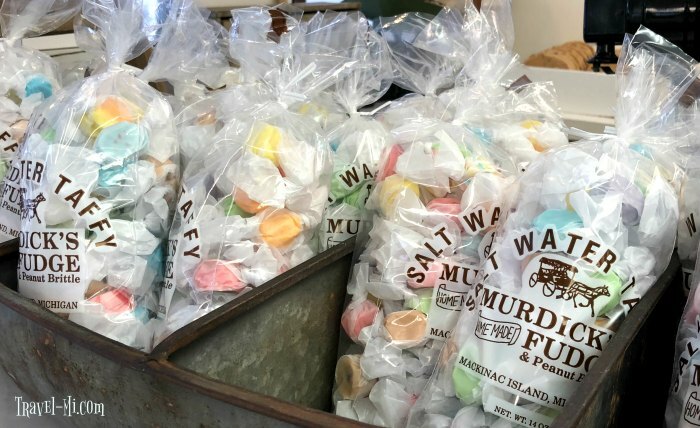 Main street is also home to the insanely popular sweets, Murdick's Fudge Shop. 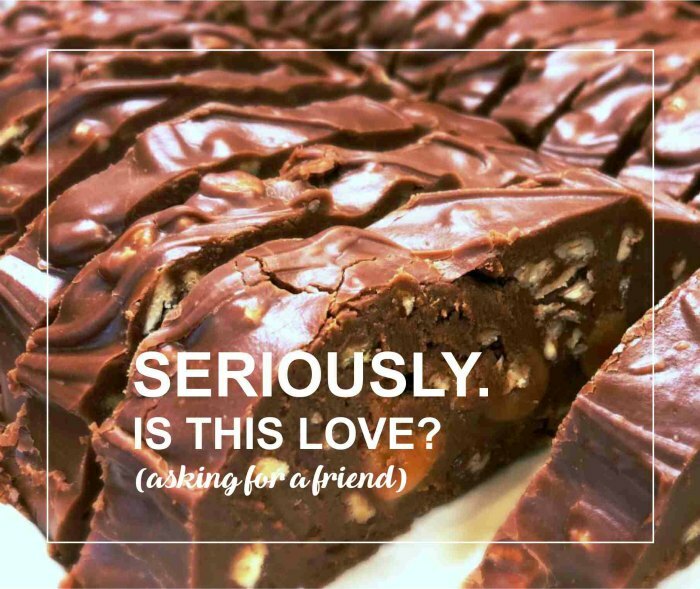 This quaint family-owned business has been making gooey delicious fudge since 1887. Also check out Ryba's Fudge Shop. If you are lucky, can will catch the chocolate geniuses mixing and chopping the heavenly goodness during your visit. I stood WAY too long watching them mix the thick, warm path to happiness. Maybe it was getting awkward and they wanted me out of the store, but I got a free sample! OHHHH YES! The Haunted Theate on Main Street will cast a spell over you as they tell of monsters, mythical creatures and legendary beings. Oh, and there's this tiny detail: The theater was built on an ancient Indian burial ground, which serves as the basis for its theme. This family friendly attraction is good for people of all ages. Admission is under $10. 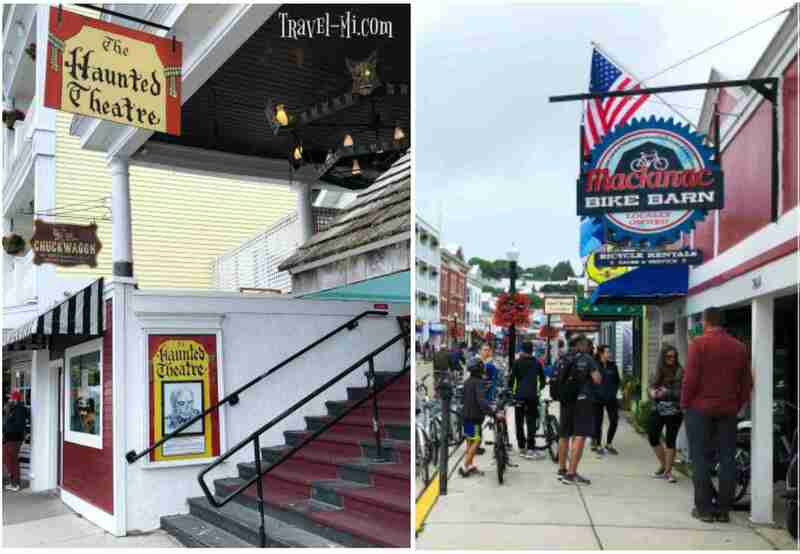 If you didn't bring a bike, you can rent them on Main Street just as you exit the ferries. Numerous shops on Main Street will get you fitted in quick order. TIP: To save time, rent your bikes ahead of time on-line so you can begin your adventure. Lines can be long in the summer months. Market Street is a very scenic street with historic homes and stunning gardens. Great photo opportunities! The Biddle House, 7406 Market St, is also on Market street. 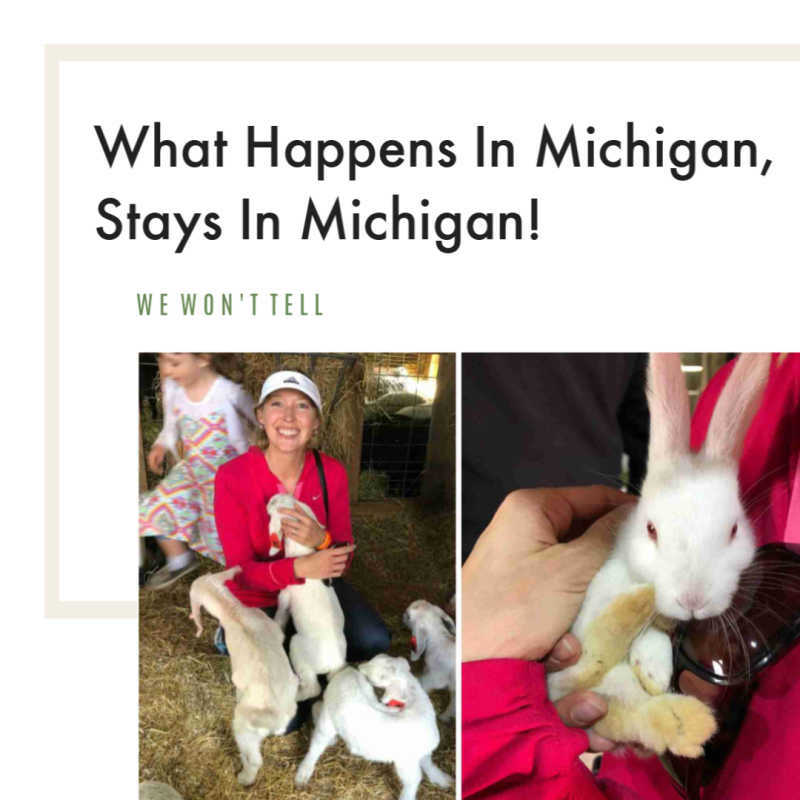 It teaches about domestic life and the fur trade on Mackinac Island. The Biddle House was built before 1800. Next door is the Benjamin Blacksmith Shop, 7406 B Market Street, where you can learn about blacksmithing techniques. 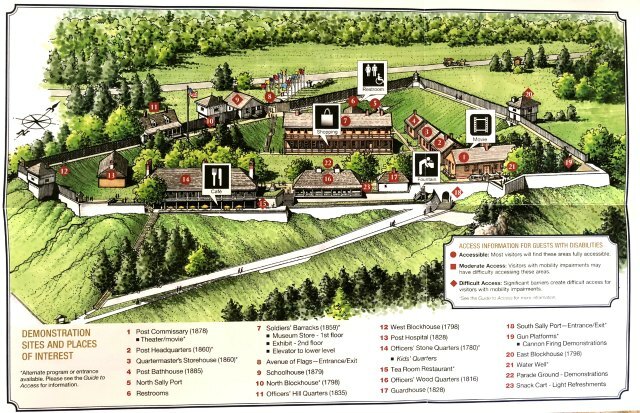 Founded in 1870, Fort Mackinac once protected Mackinac Island from unfriendly visitors and served as a home for soldiers and their families. 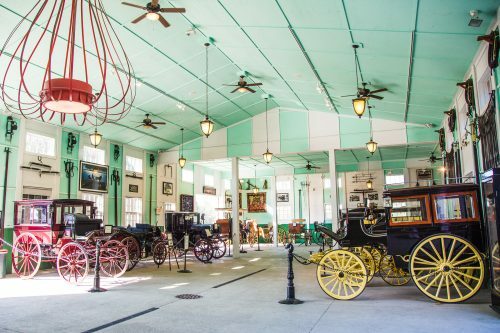 It is now open to tour 14 historical buildings with informative exhibits and interesting weaponry. One of the buildings is the oldest building in Michigan! I was pleasantly surprised how interesting everything was at the fort! We greatly enjoyed going through all the buildings, listening to the soldiers tell stories and wander the grounds. The views are the best on the island!! For a fee of approximately $50, you can help clean, load, prime and then FIRE the cannon. This special experience is available for one person every morning at 9:15 a.m. beginning June through early October. Call 906-847-3328 to reserve your spot at least three days in advance. The hours of the fort June through September 2 is 9:30 am. to 6:00 p.m. There is a cost of approximately $13 (a little cheaper if you buy on-line) for adults. 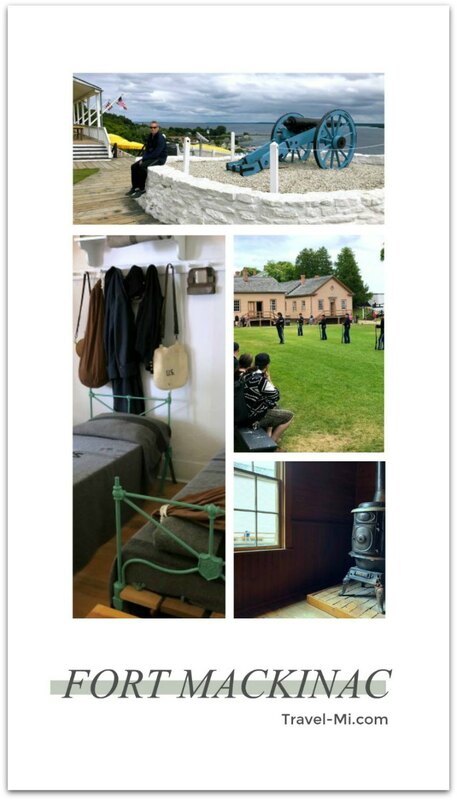 Be sure to add Fort Mackinac to your list of things to do on Mackinac Island! Oh, and you can purchase tickets for the fort when you purchase your ferry tickets online. Just show the bar code on your email from your phone. You are granted FREE access with your Fort ticket to a TON of locations that may normally charge a fee. SEE MAP BELOW. 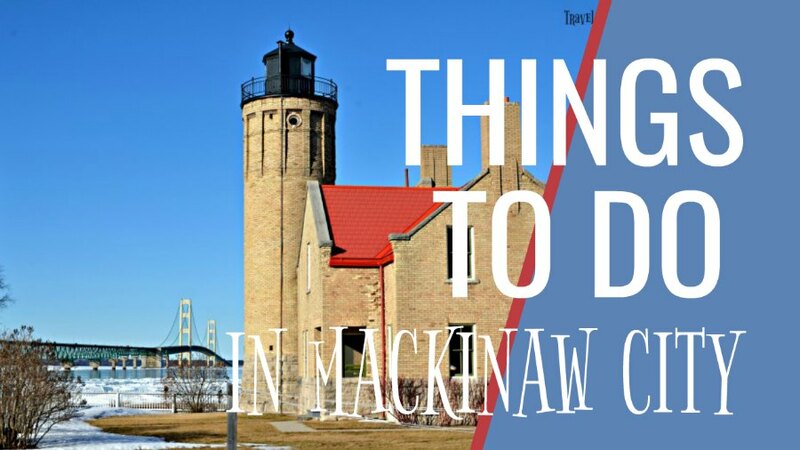 The Richard and Jane Manoogian Mackinac Art Museum along with the others on the map above are free to enter with the purchase of your Fort Tickets. 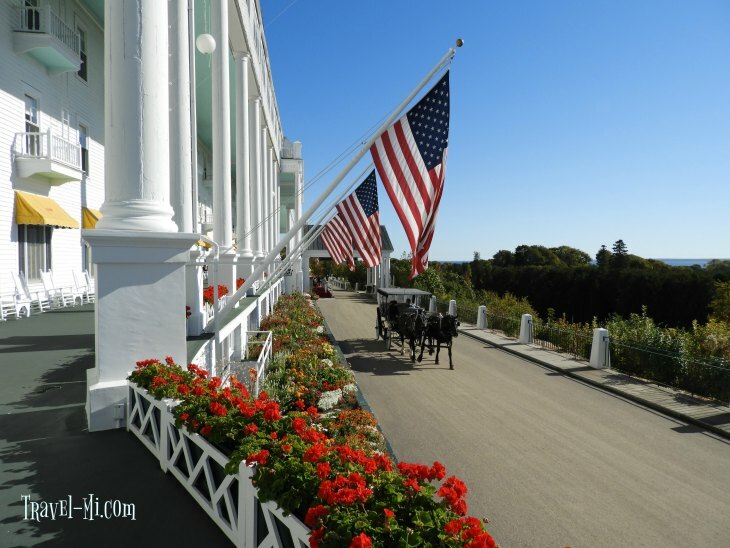 Read our Featured Contributor's Grand Hotel tips here! Also, since the hotel offers so many options and things to do, it's a good idea to click here for their website. So. I've heard Devil's Kitchen is a great place to take great photos as it is an amazingly scenic rock formation along the coastline. We were yapping up a storm as we passed the area on our bikes so we failed to stop. Bummer! Next time!! 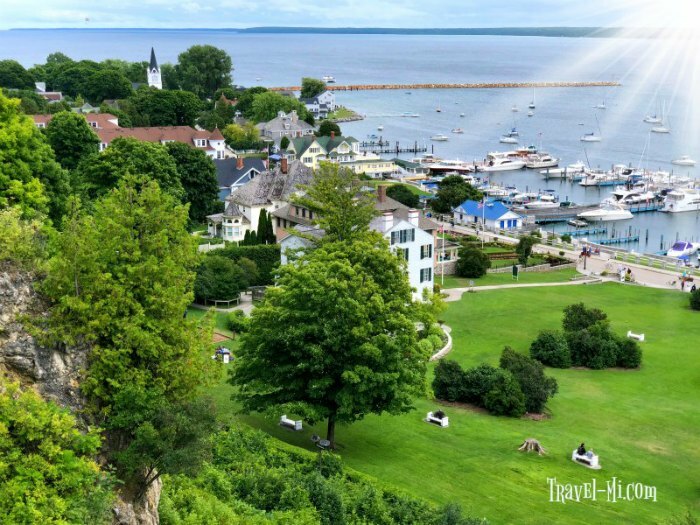 Sunset Rock is a great spot to soak in the views and the gorgeous sunset on Mackinac Island. Sunset Rock is located on Lakeshore Drive, north of Devil's Kitchen. It's a great place to ride your bike and relax for a bit. 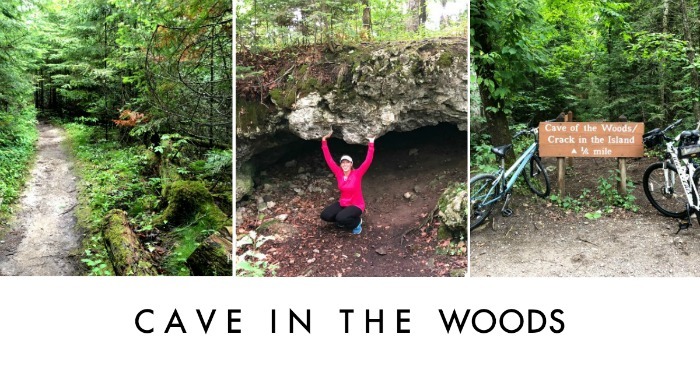 The Cave in the Wood is located on Partridge trail. The cave is 1/4 mile off the mail trail and you must park your bike and walk. It's a gorgeous dirt trail so be sure to embark on this adventure! Truthfully, we enjoyed the beauty of the trail and exploring the area more than the cave itself! The cave is a small natural limestone formation that has a 10-20 foot overhang. Just a fun natural formation to discover while biking or hiking! 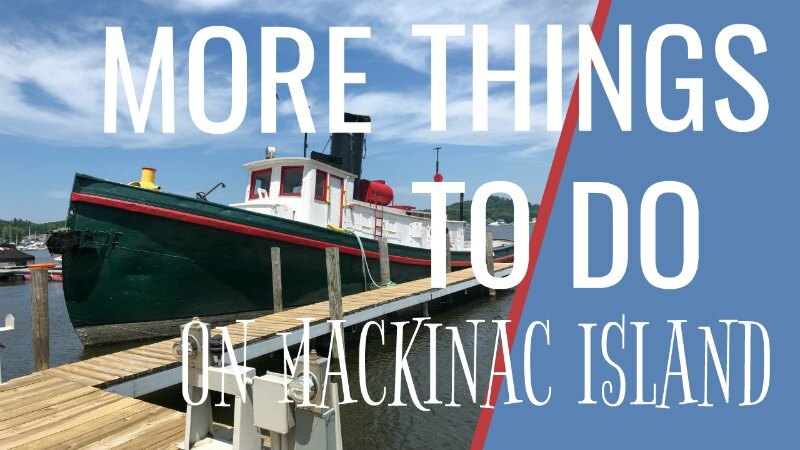 So many awesome things to do on Mackinac Island! 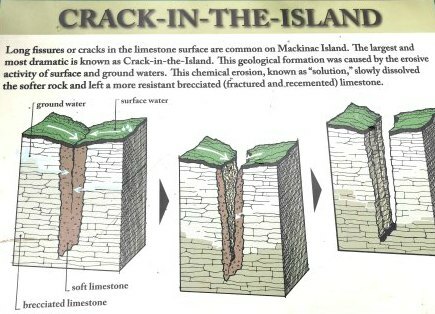 It's hard to tell how large this crack is, but an adult can stand in it! Take cool pictures of the island consuming your family!! 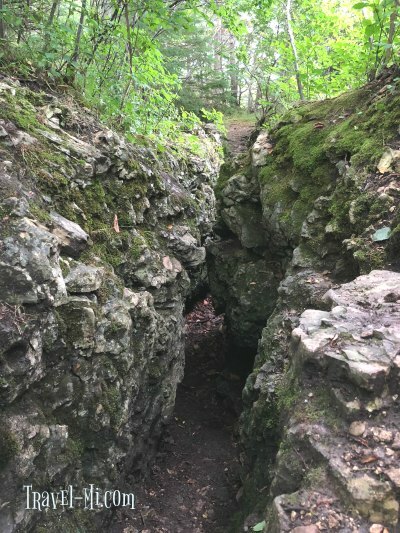 The Crack is only a few feet above the Cave In The Woods so you will see two cool things at the same time! The Mackinac Island airport has a lighted 3,500-foot paved runway and parallel taxiway for propeller planes and small jets. The airport is open all year and is the only link with the mainland from early January until mid-April when the ferries start operating again. Small charter aircraft fly to St. Ignace in only four minutes! You can obtain a fabulous view of the airport with planes taking off and landing just a few feet from the Crack in the Rock. 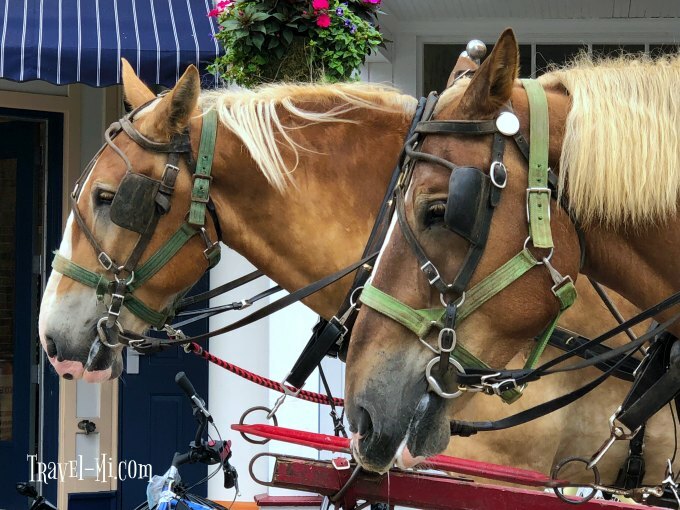 The bright red Grand Hotel stable, located minutes away near Surrey Hill and just across from Wings of Mackinac Butterfly Conservatory, is home to 12 beautiful horses. The stable is open to be toured by the public so don't miss this great opportunity to see the lovely horses up close! 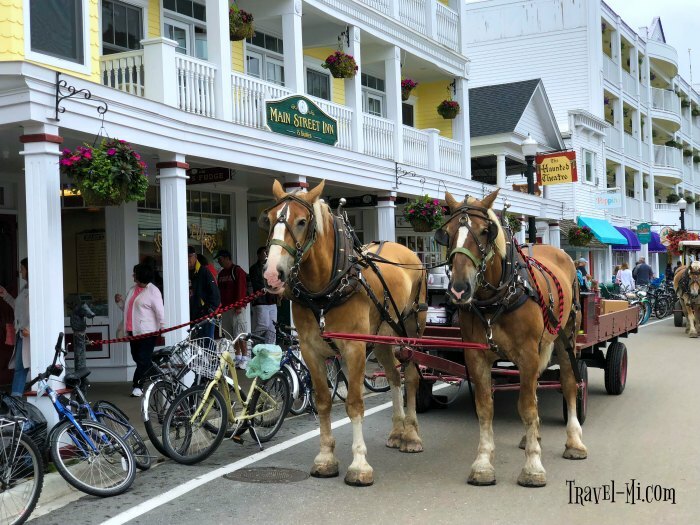 At 8,700 square feet, this working stable is a great way to see the horses and 20 antique carriages from both Grand Hotel and Mackinac Island Carriage Tours. 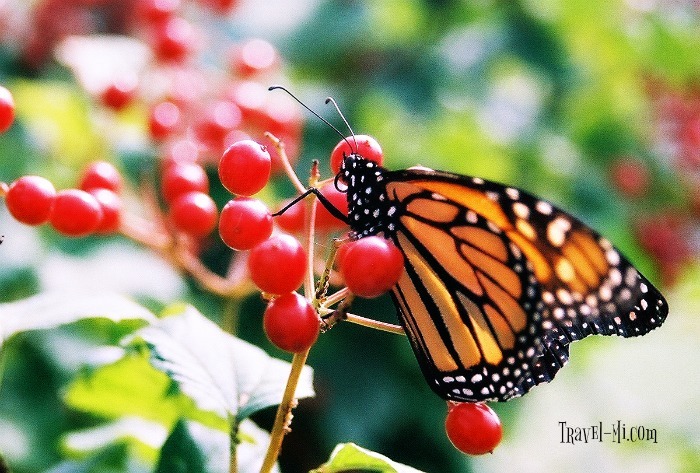 The Wings of Mackinaw Butterfly Conservatory houses hundreds of gorgeous butterflies perfect for learning, photography and art inspiration. Be sure to see the emergence viewing area and ask the friendly staff members any questions! Oh, and they have a great gift shop to bring home memories!! 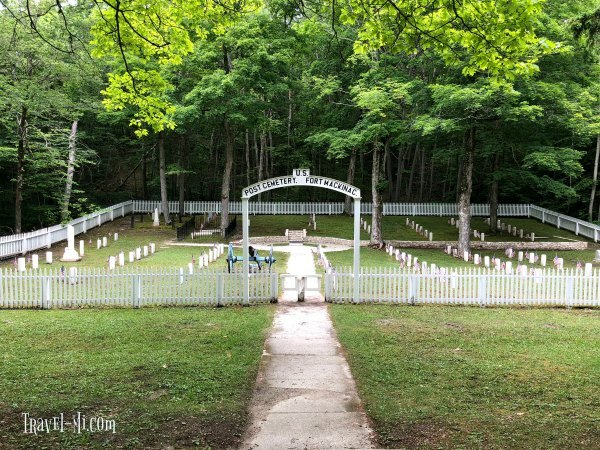 The Fort Mackinac Post Cemetery on Mackinac Island, Michigan is the final resting place for Fort Mackinac soldiers, their families and a few local officials. The area is very beautiful with flags, large trees and is very well kept. The passing horse drawn carriages are very scenic.